In 2016, there were some 222 million drivers who held a license and registration in the United States. Of this, more than seven percent (almost 15.88 million) were drivers in the State of Texas. What’s more, this number continues to grow, with every new year’s car sales going up. Nationwide, there were almost 5.49 million new vehicles sold in 2018. Houston, TX dealerships alone sold 33,518 new units in October last year. With all these vehicles on the road, driving etiquette has become all the more important. After all, these driving practices show you know how to share the road with others. They’re habits that can keep everyone on the road safe and protected from crashes. Ready to breeze through the streets and highways as a safe and courteous driver? Then let’s dive right into it! By prioritizing your safety, you’re already helping keep everyone else safe. Think about it. When you drive while impaired or intoxicated, you’re at a higher risk of getting into a car crash. This can happen even if you keep your blood alcohol concentration (BAC) below the legal threshold of 0.08%. In fact, even a BAC of 0.05% can already put you at 100% risk of a car crash. For men weighing 160 pounds, all it takes is a couple of 12-ounce beers in an hour to reach that BAC level. In women (weighing 120 pounds), it takes only a single 12-ounce beer or five ounces of wine. Driving under the influence (of alcohol or any substance) can also lead to drowsy driving. This can make you lose control of the wheel, crashing into something or worse, someone else. Alcohol can also affect your vision and judgments, making you slow to react on the road. Alcohol-impaired driving claims 29 lives in the U.S. every day. That should be enough to make you put down that bottle of beer or glass of wine if you drive afterward. Keep yourself safe when driving, and you’ll keep other motorists and pedestrians safe too. Driving distractions are any activity that takes your focus away from the road. This can be texting or talking with someone on the phone, putting on makeup, or choosing a radio station. Eating and reaching out for your bag on the seat beside you are also driving distractions. All these are as disrespectful (and dangerous) to other people on the road as impaired driving. In 2016 alone, distracted driving in the United States led to 3,450 fatalities. That’s 9% of all reported accidents and fatalities that year. Driving safe requires your full attention. But reading or sending a text message takes your eyes off the road for at least five seconds. Those five seconds can be all it takes to hit another car or lose control of the wheel. Seventy mph may be OK (even slow) for you, but your passengers may not be okay with it. Be considerate of their feelings too — it’s possible your speed is already making them shake in fear. Don’t forget to remind them about their seat belt! Tailgating happens when one car is too close behind another. How close? If it takes less than three seconds for the tailgating vehicle to pass the same thing the car in front did. For instance, the car in front passes a road sign. If the vehicle right behind passes the same sign in less than three seconds, that’s tailgating. This is rude because it’s like encroaching on someone’s personal space. 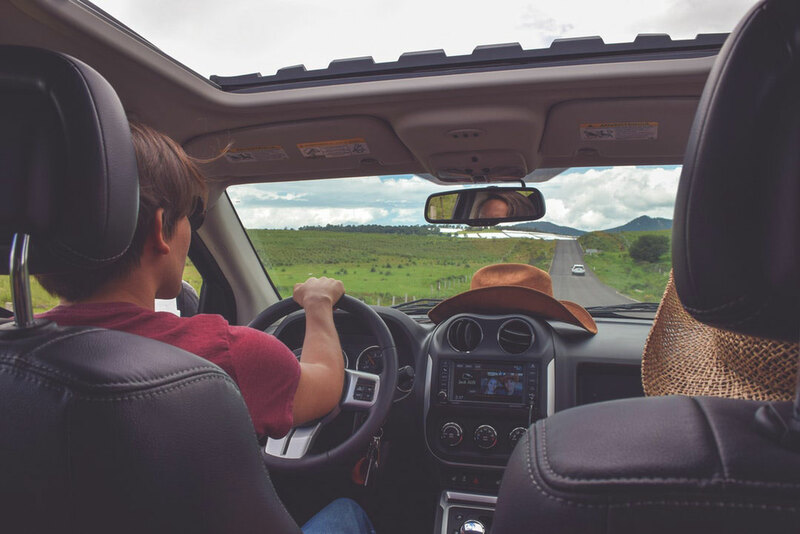 Even though, for all intents and purposes, no one owns the road, tailgating can still make the driver in front feel bullied. It’s also dangerous since it can cause crashes. If the driver in front has to go on a sudden stop, the driver following too close behind may not have enough time to brake. This three-second distance rule is unwritten, but it’s one you should always follow. A safe and courteous driver always use their turn signals as a warning or notification. It lets other drivers know if they’re turning right or left. Inside a vehicle, these signals are the only way to tell other drivers you’re about to use the space in front of them. Other drivers aren’t expecting you to make a sudden appearance in front of them. So, failing to use these signals can cause them to crash into you or vice versa. Depending on where you live, the recommended distance to put those signals on varies. For instance, in Texas, you should use your signal at least 100 feet before you make any turns. Safe and courteous driving means using left lanes only to overtake slow-moving vehicles. If you start cruising on these lanes, you’re making the roads dangerous for everyone else. Besides, it’ll be harder for you to merge back when cars start whizzing by on your right. As you prepare to merge, whether into traffic or highway lanes, be sure your ride is within the right speed. There should also be enough space for your car that it won’t stick out on the lane next to it. Take turns with other merging vehicles to prevent unnecessary jamming. In Texas, it’s legal to use an “improved shoulder” for other purposes aside from emergencies. But you can only do so if it’s necessary and provided it’s safe to do so. For instance, you can use a left shoulder to stop or park your vehicle. You can also use this to speed up when merging with the travel lane, or speed down when turning right. Another is when the car in front of you has slowed or stopped. If your goal is to avoid traffic (like everyone else), your car has no place on shoulder lanes. Stick to the travel lane as someone facing an actual emergency may have to use the shoulder. No matter how frustrated you are, honking when you’re stuck in traffic won’t do any good. Everyone else is stuck in the same place as you are. So, unless there’s an emergency or you want to alert drivers of your intentions, don’t lean on your horn. Excessive honking is irritating, which is why it’s a common factor in road rage incidents. FYI, road rage has become more common, with almost 80% of motorists expressing it in 2015. When you want to acknowledge other drivers, a couple of quick, light beeps is enough. This can be to thank them for letting you merge. If someone you allowed to merge acknowledges you, respond with light beeps on your horn too. Most driving safety tips recommend the use of high beams for nighttime driving. These lights improve road visibility, helping you avoid hazards like road obstructions. They’re great for driving through wooded areas too, where animals can cross the roads. But light beams shouldn’t be in use when there are other motorists in sight. These bright lights can cause temporary blindness in all other drivers around you. They’ll see nothing but white, making it dangerous, even deadly, to them. That said, keep your high beams turned off if you see other vehicles on the road. Whether they’re oncoming, behind you, or in front, don’t put them at risk of going blind even for a few seconds. Rubbernecking on the road happens when someone slows to almost a stop to check out a crash. Unless your goal is to help the victims, this is disrespectful. It can even hinder those who will provide actual help to the victims. All these are common statements you’ll hear from a backseat driver, which can be very annoying. But it’s also a distraction, which can put everyone in your car at risk, as well as other people on the road. Ignoring their unsolicited advice by keeping your eyes and ears on the road is one way to handle them. Humor can also be helpful. If they keep at it, remind them that you need to stay focused on driving, as it’s also their safety on the line. Being a courteous driver stems from being a safe and defensive driver. The things you do (and don’t) to keep you safe behind the wheel reduces everyone else’s risk of getting into accidents. Make these driving etiquette and safety tips a habit, and you can get to your destination safe and sound.